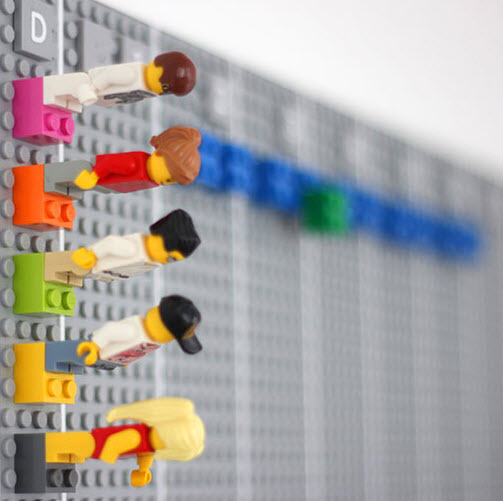 Okay, start saving small Lego bricks right now – you’ll need them for 2014. This incredible Lego calendar, created by London-based design studio Vitamins, brings the world’s favourite brick to every day of the week. The team at Vitamins were looking at ways to organise time. They knew that they needed a solution that was big and visible (diaries on smart-phones weren’t going to cut it) but also worked both on-line and off-line, looked good, was flexible and secure (in other words, colour-coded clients and projects!). They came up with the Lego calendar. Put simply, each row on the Vitamins Lego calendar represents a month and each column represents a day of the week. Every person in the studio (there are six) has their own row. Every project has its own colour and the team keep a little index hidden away to remember which colour represents which project. Each brick represents a half day spent on that particular project. At a glance, the team can get a quick overview of what they’re working on and what’s coming up. Now the really clever bit is the way the calendar can be updated, used remotely and synchronised to a digital calendar. 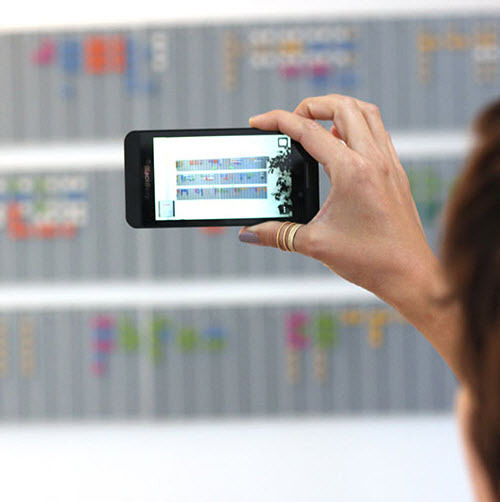 Vitamins created software that allows team members to take a photo of the calendar with any smart phone and send it to a specially created email address where the image is scanned and changes to the position and colour of every brick are detected and then updated. Wow! Now although the team at Vitamins no doubt have more complex days to plan than the average family, many of the calendar requirements for the design team are equally applicable to families. I want to be able to see what’s on weeks ahead of time. I also need to be across what everyone in the family is doing, not just my personal commitments. I also want to be able to see what’s on at a glance. 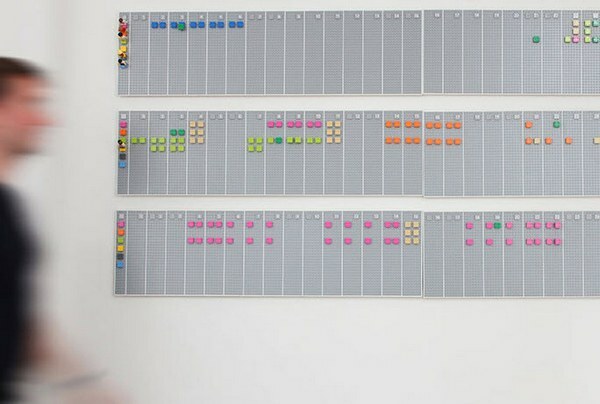 You may not be able to recreate the remote updating of the calendar (although Vitamins will be sharing it online in the future) however you can certainly borrow the concept of a family planner built from bricks.